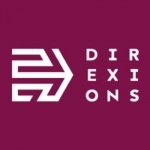 We, at Direxions, are well known for our expertise in developing and managing loyalty programs and have been associated with over 100 loyalty and CRM programs, across several industry verticals and channels. - To maintaining excellent rapport with the clients team with meticulous project management and follow-up. - Handling multiple client accounts and delivery of revenue with Team Lead. - Understanding the target audiences through analysis of transactional and profile data. - Ideating, conceptualizing and executing marketing campaigns including acquisition, activation and retention campaigns for various clients. - Excellent planning and project management skills, with an ability to manage multiple projects and competing deadlines. Agency (CRM / loyalty) background preferred : A business/marketing degree level qualification. - Sound understanding of the loyalty industry and banking industry 1 year. - Personable and able to deal with rapid business change.